1/12 teaspoon of honey in her lifetime. 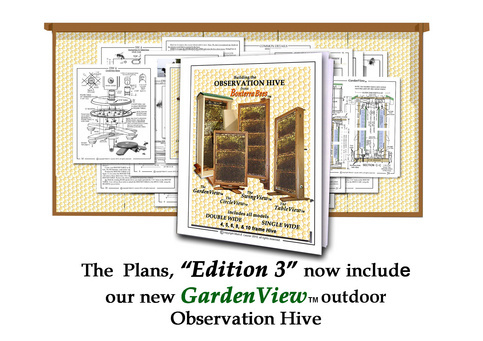 This is a complete set of plans, in booklet form, for building the SwingView, TableView, CircleView, and GardenView Observation Hive models with all options, complete with installation instructions and basic Hive management information for new beekeepers. Our D-I-Y Plans for Observation Hives have been built all over the world and loaded with bees for enjoyment and education. We are happy to be a part of the growing knowledge and advocacy of this marvelous and critically important, world wide creature, the Honey Bee. Bonterra Bees observation hive designs are fast becoming a world wide standard. We have sold Plans to France, Russia, Spain, Australia, New Zealand, Sweden, Norway, etc, etc and all over the world. 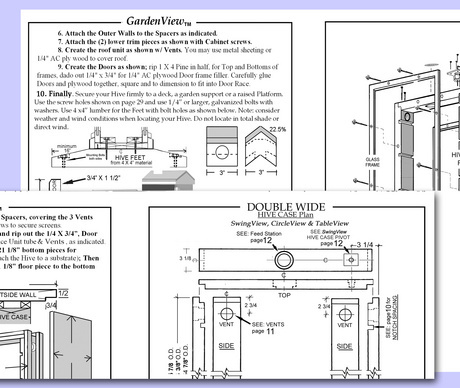 Building an Observation Bee Hive designed by Bonterra Bees may look complicated, but it's not. Once you choose your model, half of those lines, numbers and diagrams disappear. Basically, you will create some Hive Case stock from your choice of wood, drill some holes in it and screw it together. There is nothing complicated here, and we think you will really enjoy this woodworking project. We have designed our Observation Hives to be created from locally available, inexpensive materials, and there are no high-tech tools or procedures required. Start building your hive today! *An 8.5 X 14", PDF file of the D-I-Y Plans booklet (file size: approximately 5.6 MB) will be sent to you electronically within 24 hours of your purchase, along with our informative Hive Management Guide (2.4 mb) via the e-mail address associated with the PayPal account used to purchase this item. If you would prefer that your order be sent to another e-mail account, please include instructions in your PayPal purchase. 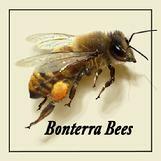 PLEASE ADD Bonterra Bees to your e-mail address book to prevent your order from ending up in your Spam Folder. Please note that your purchase of the D-I-Y Plans in PDF format is nonrefundable.